Peru is the world's second-largest producer of cocaine. 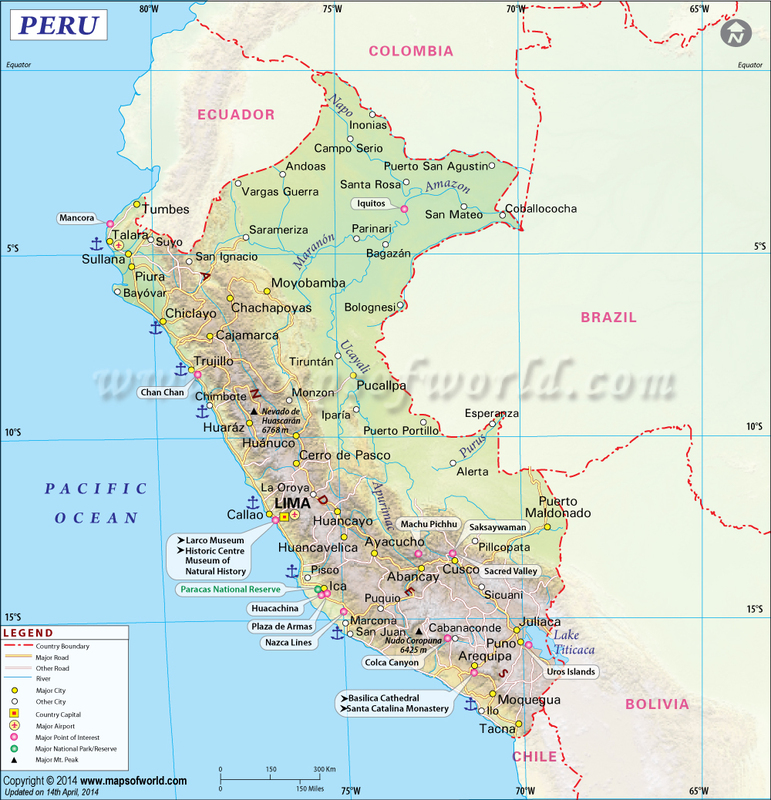 Peru’s name may come from the Spanish misapplication of the Quechua word "pelu", meaning a river. About 65 million guinea pigs are consumed in Peru every year. The pisco sour is Peru’s national drink. It is made using pisco (grape) brandy, lemons, sugar, egg whites, and ice and is finished with Angostura bitters. Peru’s Cotahuasi Canyon is reported to be the deepest canyon in the world. At 11,004 feet (3,354 m), it is almost twice as deep as the U.S.’s Grand Canyon. Beaches along the pacific are great!